OXFORD, Miss. – Seven members of the 2018 freshman class at the University of Mississippi have the distinction of being Stamps Foundation Scholarship recipients. The Stamps Scholarships at Ole Miss are the most comprehensive, full scholarship packages for in-state and out-of-state students. 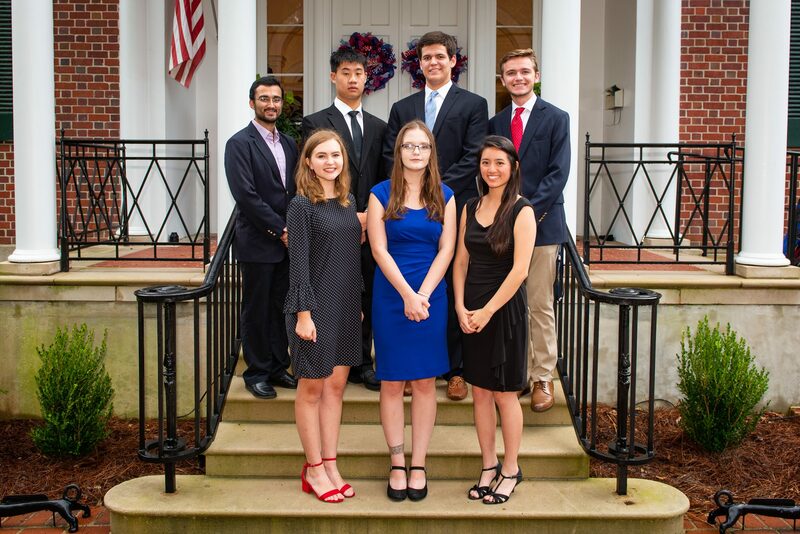 This year’s cohort is: Shahbaz W. Gul and Qihang “Jeffrey” Wang, of Oxford; Gregory Vance, of Jackson; Melvin “Richard” Springer IV, of Biloxi; Grace Louise Dragna, of Mandeville, Louisiana; Grace Elizabeth Marion, of Levittown, Pennsylvania; and Valerie Quach, of Austin, Texas. The 13th class of Stamps Scholars includes 230 top students from across the country at 30 partner universities. Selected from almost 300,000 applications, these scholars have diverse academic interests such as medicine, education, engineering, history, public policy, and visual and performing arts. With its partner universities, the Stamps Foundation seeks students who demonstrate academic merit, strong leadership potential and exceptional character. Through the foundation, students have access to funding to engage in internships, undergraduate research or other professional development activities. Potential Stamps scholars are invited to campus for a special weekend visit to get an in-depth look at the university’s academic programs as well as opportunities to interact with campus administrators and students. An early entry pharmacy major, Gul is a member of the Sally McDonnell Barksdale Honors College and the Chancellor’s Leadership Class. His desire is to become a physician and work in pediatrics. Gul said he is grateful to be considered for the scholarship. Wang said he sees the Stamps Scholarship at Ole Miss as the perfect balance between a fantastic, focused education and a big public school experience. Wang’s goals include doing research in both analytical chemistry and environmental sciences. The Stamps Scholarship is an extraordinary opportunity, said Vance, a biomedical engineering major with a possible minor in neuroscience. He is a member of the Honors College and University Choir. Vance said he plans to pursue either medical school or an advanced biomedical engineering degree after graduation. He particularly would like to help treat children with neurological diseases. Springer said he appreciated the Stamps family for contributing so much energy and effort to help students further their education and pursue their dreams. “This phenomenal opportunity really means the world to me,” said the mathematics major who also plays trumpet in the Pride of the South marching band. He is a member of the Honors College, Chancellor’s Leadership Class and the Associated Student Body. Springer’s goals are to study abroad, observe math education techniques and curricula in other countries and then return to help improve instruction in Mississippi and around the United States. Double majoring in public policy leadership and economics, Dragna is a member of the Honors College, Trent Lott Leadership Institute, Rebels Against Sexual Assault, Big Event and the Associated Student Body. She is grateful for the Stamps Scholarship, which is allowing her to attend the university. Dragna said she is passionate about developing public policy in the area of women’s health care in rural areas She aspires to one day become a public servant with the federal government, making decisions for women’s health issues. Marion is a member of the Honors College and the Daily Mississippian editorial staff. Her goals include studying abroad, volunteering in the local community and continuing to attend national professional journalism conferences. Following graduation, she plans to either become a journalist or attend law school. Quach’s focus is on discovering new medications and/or procedures to improve treatment of Alzheimer’s, schizophrenia, dementia and other neurological diseases. Launched in 2006 by Georgia native Roe Stamps and his wife, Penny, the program has grown to include nearly 40 partner schools throughout the country. To learn more about the Stamps Foundation, visit http://www.stampsfoundation.org/.